← DANGER! Red Square is HOT! 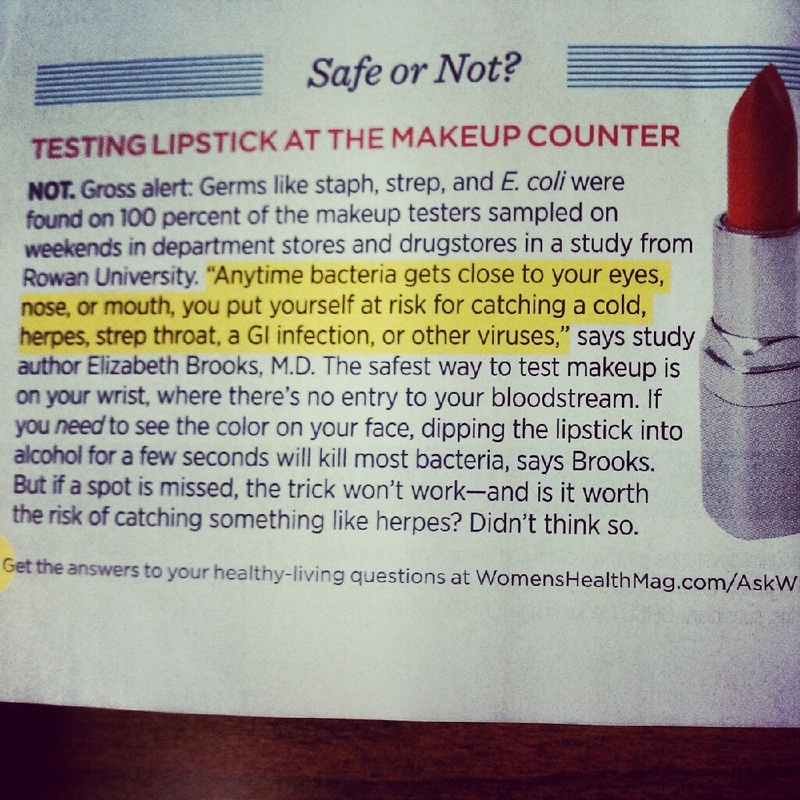 Posted on June 13, 2012, in Beauty, Hot Item, Random and tagged bacteria, cosmetic stores, e coli, fantabulous, Gross, health magazine, lesson learned, testing lipstick, Women's Health Magazine. Bookmark the permalink. 2 Comments. I always swatch on my wrist. I’ll never put anything “tester” on my face! I wrote about this too and I still see it.yuck ! I apply things to my hand.